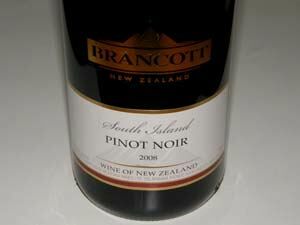 Brancott is a Pernod Ricard brand which focuses on Sauvignon Blanc and Pinot Noir on the southern side valleys of Marlborough. It is named for Brancott Valley, where the hillsides provide the winery's best sources of Pinot Noir. Montana wines, the maker of Brancott wines, planted the first modern day vineyards in Marlborough and created New Zealand's first varietal wine with Gisborne Chardonnay. Several Pinot Noirs are crafted by under the direction of winemaker Jeff Clarke who oversees a team of other winemakers. The lineup includes the Brancott Classics, Brancott Reserves Terrior Series and Letter Series ranges. The wines are exported to the United States.